Abby Apple Boes as Margie and Kevin Hart as Mike star in “Good People” in Pagosa Springs. 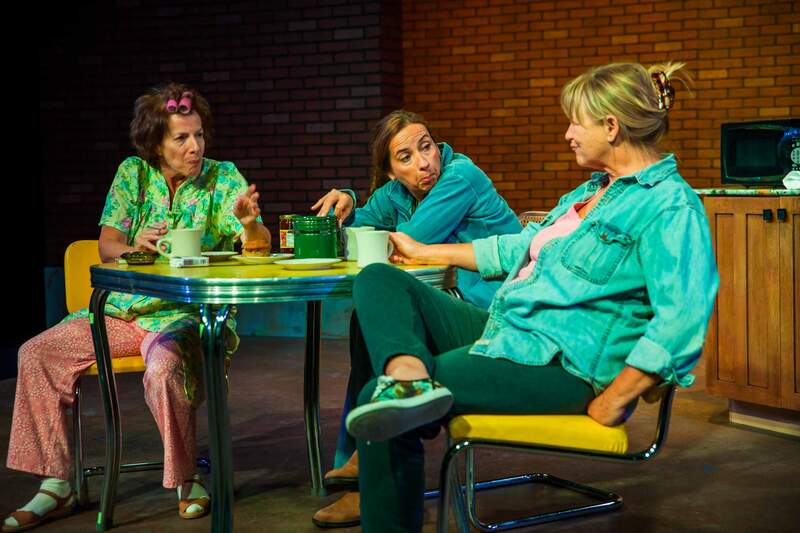 Courtesy of Thingamajig Theatre Co.
From left, Deborah Persoff as Dottie, Abby Apple Boes as Margie and Nancy Thomas as Jea are “Southies” contemplating their lot in life in a scene from “Good People” at the Pagosa Springs Center for the Arts. To conclude the summer season, Thingamajig Theatre Co. artistic director Tim Moore selected a thoughtful and timely comedy to balance out the uproarious productions of “Spamalot” and “The Full Monty” at Pagosa Springs Center for the Arts. “Good People” is a clever, though often somber, look into class and culture in today’s America. 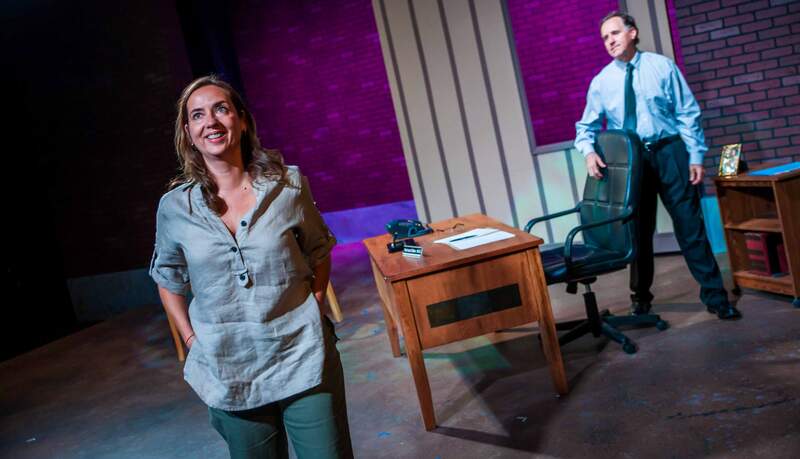 The Tony Award-winning play by David Lindsay-Abaire follows Margie, a Boston “Southie” who can’t seem to hold a job. Searching for anything to keep her and her mentally disabled daughter off the streets, she reunites with her high-school sweetheart, a now successful doctor. To achieve the tricky equilibrium of a character-driven drama and a comedy, the Pagosa troupe imported directorial and acting talent from around the country. “Using a cast and crew of local, regional and national professional talent propelled us past some of the limitations a company experiences in populations that are not only small, but sometimes homogenous,” Moore said. Starring Abby Apple Boes as Margie and Kevin Hart as her “lace-curtain” counterpart Mike, “Good People” also features Deborah Persoff and Nancy Thomas as Margie’s colorful Southie friends. Craig Dolezel (“A Steady Rain” and “It’s A Wonderful Life”) and Kristen Adele portray the only rational characters in the play, providing a delicate sense of balance to the ensemble. 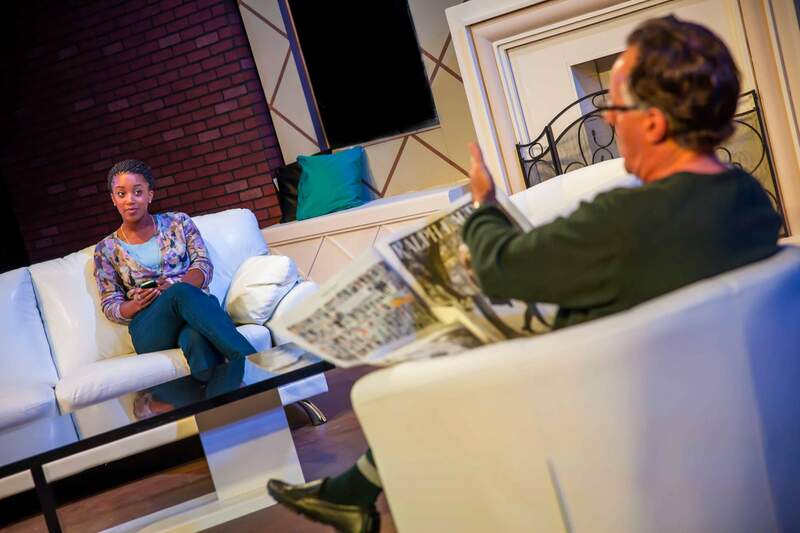 “Good People” is smartly and thoughtfully directed by John Ashton of the Avenue Theater in Denver, among other companies. He recently received the Colorado Theatre Guild’s Lifetime Achievement Award. With more than 30 years of experience acting and directing, Ashton subtly builds tension – think the threat of red wine flying onto a white couch – until the scene is ripe to explode. Under his direction, “Good People” simultaneously transports the audience to Boston and yet transcends location, allowing the overriding themes to shine through. Thingamajig Theatre Company presents “Good People” by David Lindsay-Abaire, directed by John Ashton, at the Pagosa Springs Center for the Arts, 2313 Eagle Drive. Show times are 7 p.m. Thursdays through Saturdays through Aug. 31 and 2 p.m. Sundays through Sept. 1. Tickets cost $20 in advance, $25 at the door, available by phone at 731-7469 or online at www.pagosacenter.org.